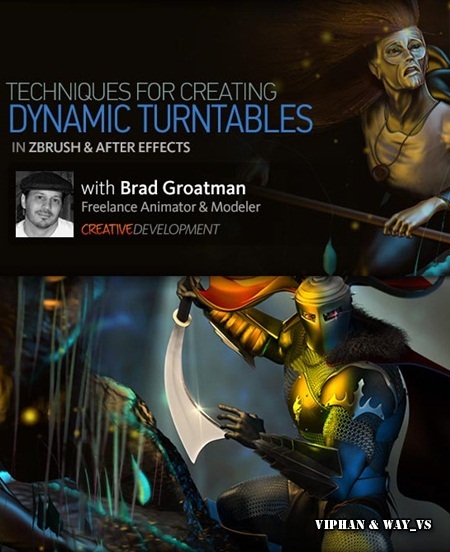 Animated Turntable Techniques in ZBrush and After Effects with Brad Groatman | Free eBooks Download - EBOOKEE! Posted on 2012-12-25, by way_vs. In this tutorial we will explore different methods of using the Timeline features in ZBrush to create more dynamic turntable animations. The new animation tools ZBrush offers allow us to approach turntable renders with more of an eye toward presentation: The ability to animate layers, materials, and display attributes opens the door to a host of possibilities in presenting our finished work. This series of tutorials will explore how we can use ZBrushâ€™s Timeline features to create a turntable that contains elements of an animated scene that provides more of a context for the models. 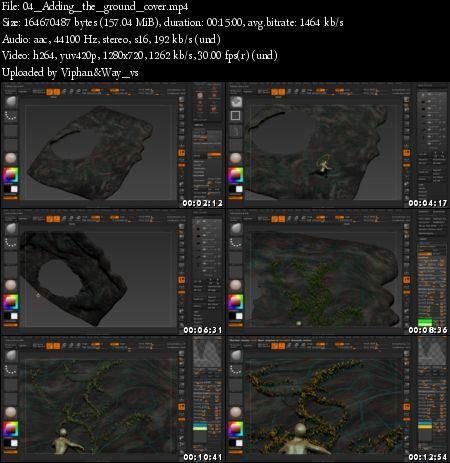 We will plan out different render passes and utilize different ZBrush materials to create them, and then bring our renders into After Effects, where weâ€™ll explore a number of different techniques for bringing the ZBrush renders to life. By the end of the tutorial, the different techniques and ideas weâ€™ve explored will hopefully give us a broader idea of the potential for making the turntable render itself a part of the creative process. No comments for "Animated Turntable Techniques in ZBrush and After Effects with Brad Groatman".